In the last 25 years, Texture Analysis has grown from an arcane niche activity, interesting only to a handful of academics, to a mainstream necessity for manufacturers' R&D and QA departments in many industries and on every continent. While much has been written on the subject, we recommend the following volumes for the attention of anyone wishing to have a solid grounding in Texture Analysis. You can also look for Published References for your particular area of interest. Instrumental measurements of sensory quality are of growing importance in both complementing data provided by sensory panels and in providing valuable data in situations in which the use of human subjects is not feasible. Part One covers the principles and practice of food sensory quality assessment, while Part Two looks at the instrumental assessment of particular foods. Essential for students and practitioners who need to learn more about the texture and viscosity of foods, how these properties are measured and how they relate to human assessments of textural quality. 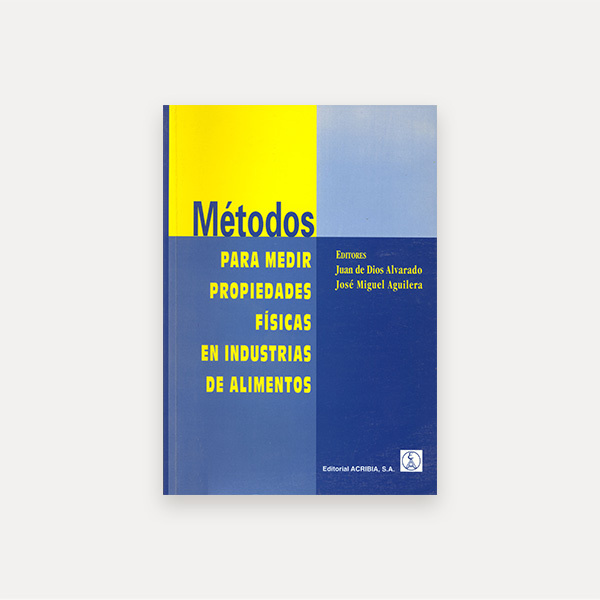 This book contains several sections on the instrumental measurement of texture and then continues with texture measurement covering certain food product sectors. This fully peer reviewed international journal addresses the texture and rheology of food and other consumer products and their perception. It is a primary source on all of the sciences that relate to sensory perception and the physical characterisation of texture, and it focuses on how the tactile senses are used to determine the acceptability of food and other consumer products. 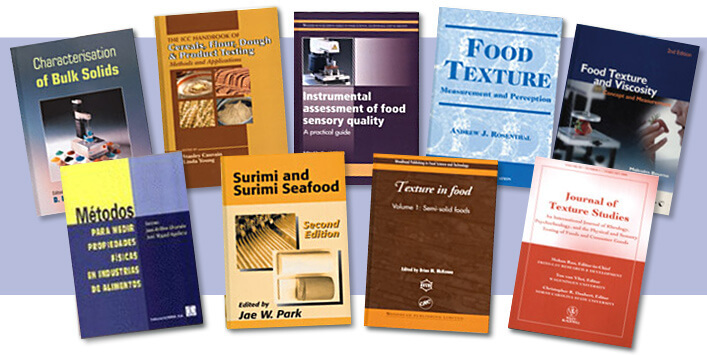 The Journal of Texture Studies is also a leading source on the interface between food texture and viscosity and the health of people suffering from dysphagia, temporomandibular joint diseases, and similar medical problems. The TA XTplus recently appeared in the new edition of Surimi and Surimi Seafood in a chapter entitled Rheology and Texture Properties of Surimi Gels. 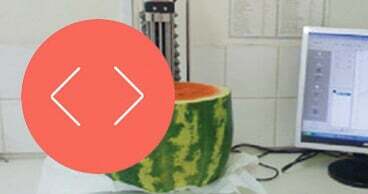 "Park and colleagues, along with the U.S. surimi industry leaders, evaluated 12 samples of surimi gels with a wide range of quality using five units of conventional rheometer or rheotex and two units of TA.XTplus Texture Analyser. Table values show that soft gel could not be measured using any of the five conventional units, while two units of the TA.XTplus were able to detect the gel values. Indeed, the accuracy of the measurement, based on the standard deviation, was much higher with the TA.XTplus instrument. This accuracy might have been due to the ability to calibrate the instrument as needed." La presente publicación ha logrado reunir a un grupo selecto de expertos miembros de la Red Iberoamericana de Propiedades Físicas para el Diseño Industrial, RIPFADI, para abordar en este volumen el tratamiento de los métodos de evaluación de propiedades físicas de los alimentos desde un punto de vista practico, pero a la vez riguroso, útil tanto en los sectores académicos y docentes como también para los técnicos de producción y de laboratorio. El contenido del libro esta dividido en cinco capítulos. Cuatro de ellos tratan de las propiedades físicas según la división clásica de la física. El restante se refiere al uso de herramientas estadísticas indispensables para la obtención de datos fiables para su correcta utilización, debido a la heterogeneidad observada en los alimentos. Características: 430 páginas. Encuadernación rústica. This volume is a comprehensive introduction to the techniques and information required for the testing and analysis of cereals throughout the entire grain chain, from breeding through harvesting and storage to processing and the manufacture of cereal-based food products. The book describes testing protocols in detail, offering many practical pointers for testing in fields, food plants, and in stores. It shows how data from the tests are acquired, interpreted, and linked to a range of global testing standards. The book covers wheat, barley, sorghum and other non-wheat cereals and a wide range of baked products, including breads, extruded products, and animal feeds. A final section introduces the entire spectrum of analytical devices for grain analysis from all major international equipment manufacturers. This is a practical and comprehensive reference designed for specialists responsible for ensuring the safety of, and adding value to, cereals, including cereal scientists, technologists, and producers.